Start from the Mahanga Rd car park and take a short walk along the Pataua Estuary and over a low hill to a lovely beach known as “Frog Town”. 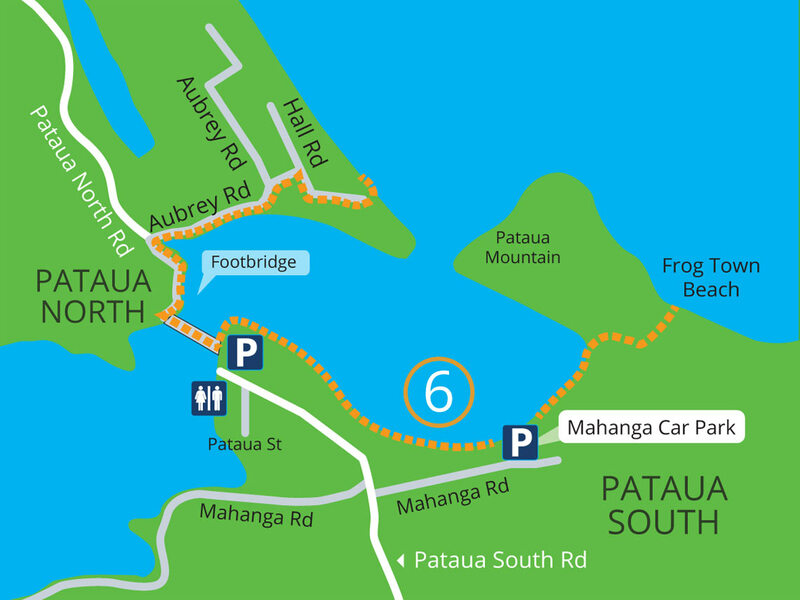 If you turn left from Mahanga car park and walk along the water’s edge you will get to the Pataua Footbridge. This is a popular spot. The bridge takes you across to Pataua North and a further 20 minute stroll will get you to the Pataua North surf beach. You will have to return the same way but can do a loop walk by heading back on Pataua South Road and turning left into Mahanga Rd. Pataua offers safe swimming in the estuary, although be careful of tidal pull. There is also fun for the older kids on the ocean side.